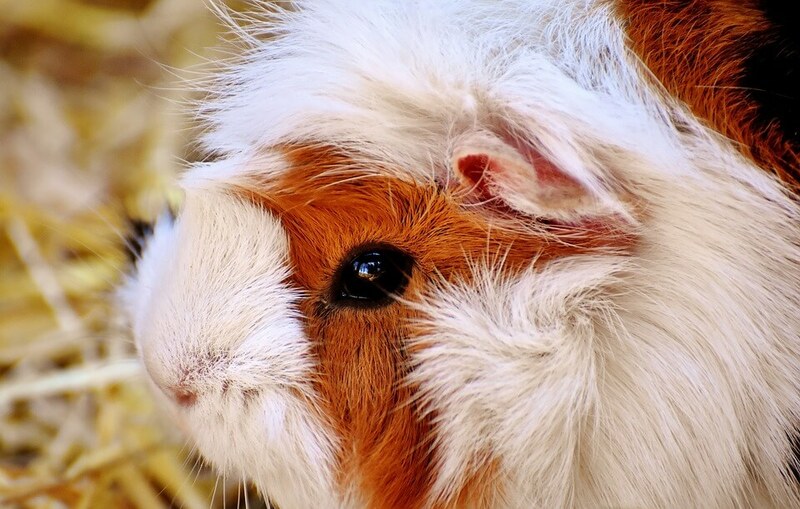 When it comes to ensuring that your guinea pig is healthy, one of the best ways to do so is by checking what he eats! They need to have the nutritional meals and a diet filled with all the healthy food they are allowed to have. It probably has you wonder though, what are the kinds of food your guinea pig are allowed to eat? Can guinea pigs eat bananas, in particular? You’ve probably wondered about this as you considered giving them a few your fruits as you eat! Read on as I answer the question if bananas are safe to eat and more feeding tips for your guinea pig. So, can guinea pigs eat bananas? The short answer is YES. I own a few guinea pigs myself, and they go crazy when getting bananas! BUT, you had to make sure that you don’t overfeed them, as too much of a good thing is still wrong. Bananas are healthy and have much nutritional value for us humans, but the sugar content is too much for guinea pigs. Aren’t guinea pigs herbivores and on a plant-based diet? Aren’t bananas okay, too? Again, they are, but only a slice is enough for them every now and then. I’ll explain what other foods they are allowed in the next section! Bananas contain some vitamin C which guinea pigs need (though not the best primary source for it). Furthermore, guinea pigs enjoy it as much as we enjoy a sweet treat once in a while. But because they’re high in sugar, too much of it will be wrong. One small slice every few days (or none at all) will be just fine. If given too many bananas, they may end up having severe health issues in the long run, including diarrhea and diabetes. Fortunately, guinea pigs are able to go into remission from diabetes as long as they have a healthy weight and diet. But it’s best to still prevent it from happening by reducing sugar intake! What about banana peels? Are guinea pigs allowed to eat more of these compared to the banana fruit itself? Just like bananas, it’s best to only give them a tiny amount of peels once in a while. You can provide both of these as an occasional treat for them to enjoy. However, the peels still contain too much sugar for them to handle. With that being said, banana peels are also an excellent beneficial treat, containing the right amount of antioxidants, as well as vitamins B, magnesium, and potassium. They’re also a good source of fiber and protein, all of these guinea pigs need for healthy body and bones. Try giving your guinea pigs a tiny part of the peel and banana fruit. If they like it, then consider it as a little treat! Make sure that you clean the peel and hat you only fed them fresh and ripe bananas. Do NOT feed them dried bananas or chips, which are processed and with added sugars. You probably already know that guinea pigs should eat pellets and hay produced for them by companies and pet stores catering to these animals. But what else should your guinea pig consume for better health? Even better, what food is your guinea pig safe to eat? Water is an obvious necessity and the only liquids your guinea pigs should be drinking (other than any prescribed medicine). Make sure to always leave a fresh, filtered, clean, and room-temperature water for them every day. I recommend that you get high-quality grass hay like timothy hay, which should be available all the time. They have the fiber for proper digestion, as long as they’re made of the high-quality ingredients (green, no mold or fragrance, and with pliable stalks). Pellets are essential to feed, but not as crucial as grass hay. They contain additional vitamins and nutrients, such as vitamin C. They are NOT a substitute for hay, but a great addition to their diet. Lettuce contains the right amount of vitamin C and calcium and can be eaten in moderation. Use this as a salad for your guinea pig, whether it’s red lead, romaine, or butterhead lettuce. Another excellent choice for guinea pigs, as they contain the right amount of vitamin C.
Raspberry leaves are another slightly sweet-tasting food you can give to your guinea pigs, filled with vitamin C and calcium. You can also feed them blueberry and raspberry fruits, though only as a rare treat. There are other fruits and vegetables you can occasionally give, such as squash, tomatoes, red peppers, cabbage, or even oranges, pears, pineapples, and strawberries! But just like bananas, be wary of feeding them fruits, as they contain a lot of sugar. Make sure that when feeding your guinea pigs vegetables like the one mentioned above, limit its intake. Vegetables aren’t an absolute necessity, and their diet shouldn’t mainly consist of greens, but only hay and pellets. I recommend that you only feed up to one cup (or less) of these vegetables a day. When it comes to feeding your guinea pig, you don’t need to worry about feeding them bananas. As long as you don’t overfeed them the fruit and continue to provide a healthy diet, they’ll enjoy and develop, living a good life! Just make sure you feed them in moderation to prevent malnutrition or overfeeding. Hopefully, this article answers your question, “can guinea pigs eat bananas?” Now that you know the answer and how to feed them properly, start planning a better diet for them now. Are Guinea Pigs Color Blind?